What did Bartimaeus do when the people told him to be quiet? What did Bartimaeus say he wanted Jesus to do? What did Jesus do for Bartimaeus? Verse: Romans 3:23 (NIV) - For all have sinned and fall short of the glory of God. - Humility - Being humble is the opposite of pride, arrogance, and bragging; understanding that if you do anything good, the glory belongs to God; understanding that "we all sin and fall short of the glory of God." Being humble is encouraging others, saying sorry, and praising God for who He is. When Bartimaeus heard Jesus coming he began to shout because he knew that Jesus was the only One that was able to help him. He knew he needed Jesus. - Using blindfolds, have the child try to do a simple activity or play Pin the Tail on the Donkey. Help the child understand how excited Bartimaeus must have been to have his sight restored. 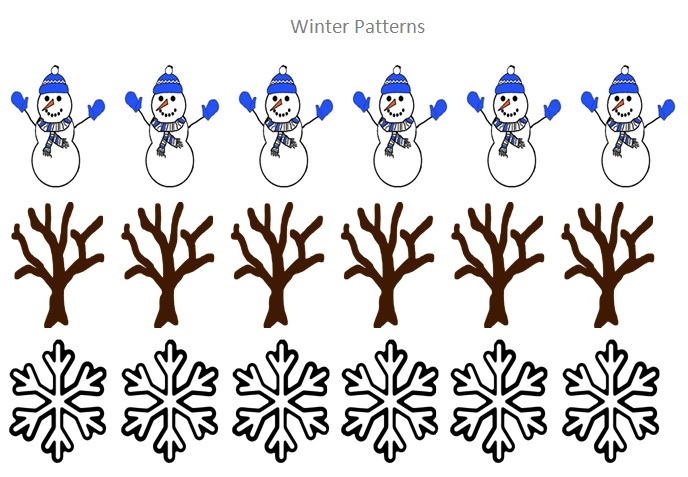 - Cut out the images on the Winter Patterns worksheet and create AB patterns. Tree - Paint the child's hand and arm brown. Press down on a piece of paper. Roll the arm a little to make the tree trunk bigger. Allow to dry. You can also draw around the child's arm and hand on brown paper and cut it out to minimize the mess. Snow - Dip a fingertip into white paint mixed with a small amount of blue and press on the paper. Give the child two paper plates, one for each foot. Step on the plates and pretend to ice skate across the room. Advise the child to keep her feet on the plates and glide around the room. Caution: Depending on the flooring, you may need the hold the child's hands. 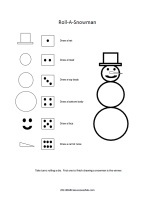 - Color and cut out the snowman pieces on the Snowman Game worksheet. Build a snowman. Have the child close his eyes and remove a piece. Ask the child which piece is missing. Continue playing by removing different pieces. When finished, glue the snowman to a piece of construction paper. Activity used again in Week 16. - Winter Sensory Tub: Pour packing peanuts into a large tub. Play in the "snow" using buckets, shovels, or toy tractors. 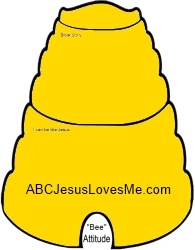 Hide small objects in the peanuts to correspond with the Bible story of Blind Bartimaeus. Blindfold the child and have him find and describe the items found. - It is very important that your child can say his phone number. Setting the number to a song will help make sense of the numbers. There are two songs can be used. "Muffin Man" - Do you know your phone number...555-1234 -or- "Camptown Ladies" - 555-1234 Fred's phone number...That is Fred's number. Write the phone number and point to each number allowing the child to see the progression as you sing the song. - Show the child how a hyphen separates the seven numbers when writing a phone number. - If you typically use a cell phone, have the child memorize this number as well. - On a phone, have the child practice dialing his home or parent's cell phone number. Use the Ee Writing worksheet and for further learning check out the Letter E Activities. Write the numbers 0-10 on a piece of paper or use number flashcards. Point to and count each number. Front Cover - Here you can find the name of the author, illustrator, and often times a cover picture. Spine - The spine says the name of the book and the last name of the author. Back Cover - This side gives a little information about the book and sometimes the author. Title - The title is the name of the story or book and gives a clue on what the story or book is about. 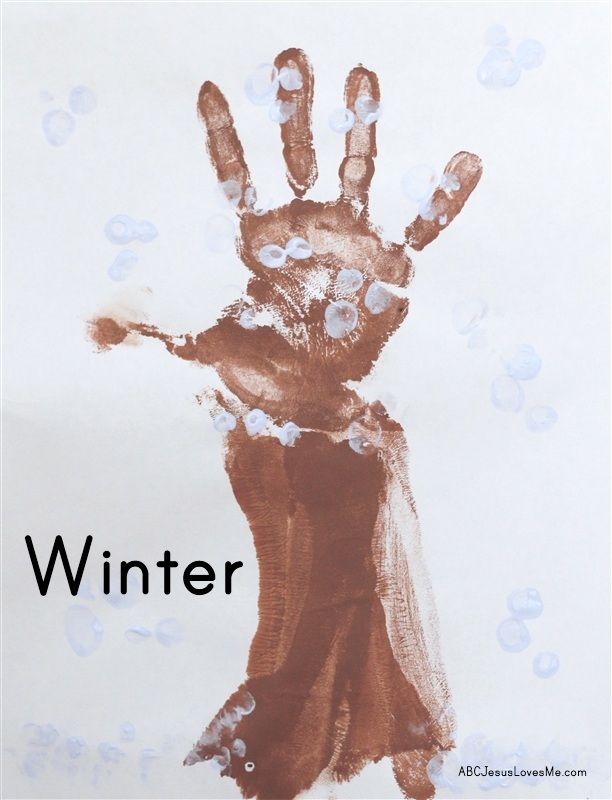 - Point out specific winter ideas in the words and illustrations of this book to tie with the Seasons Unit this week. - Do any of the "snow" crafts and activities that time didn't allow during Week 2. 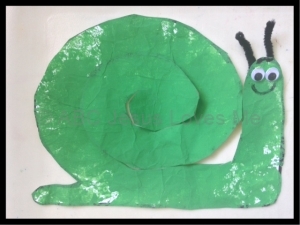 Paint and cut along spiral lines on the Spiral Snail worksheet to create a snail. Check out Teaching How to Use Scissors for ideas to use scissors. Have your child stand opposite you about seven feet apart. Before throwing a large, soft ball or beach ball toward your child, say "up", "down", "low", "high", or "catch." Depending on what you say, throw the ball in relationship to the child's body and have her bat the ball away with her hands folded together. If you say "catch", throw the ball toward the child and have her catch it. This requires another level of thinking. At first, have your child show you where the ball will be. As she improves, give her less time before the ball is thrown. 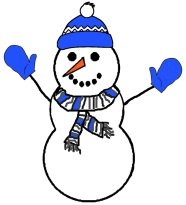 Play Roll-a-Snowman and Roll-a-Butterfly games according to the directions on the worksheets. Additional games are available in the ABCJLM Visual Perception Workbook.